Essential Phone 2 Design Leaked in Patent Image - Playfuldroid! The Snapdragon 835 powered Essential Phone was unveiled in May 2017 with a waterdrop-style notched screen. The company is yet to launch a sequel for the smartphone. Slash Gear has come across some across some schematics that could be having the design of the upcoming Essential Phone 2 smartphone. The new images have been taken patent documents from Essential. Shown below is one of the images from the patent filings. 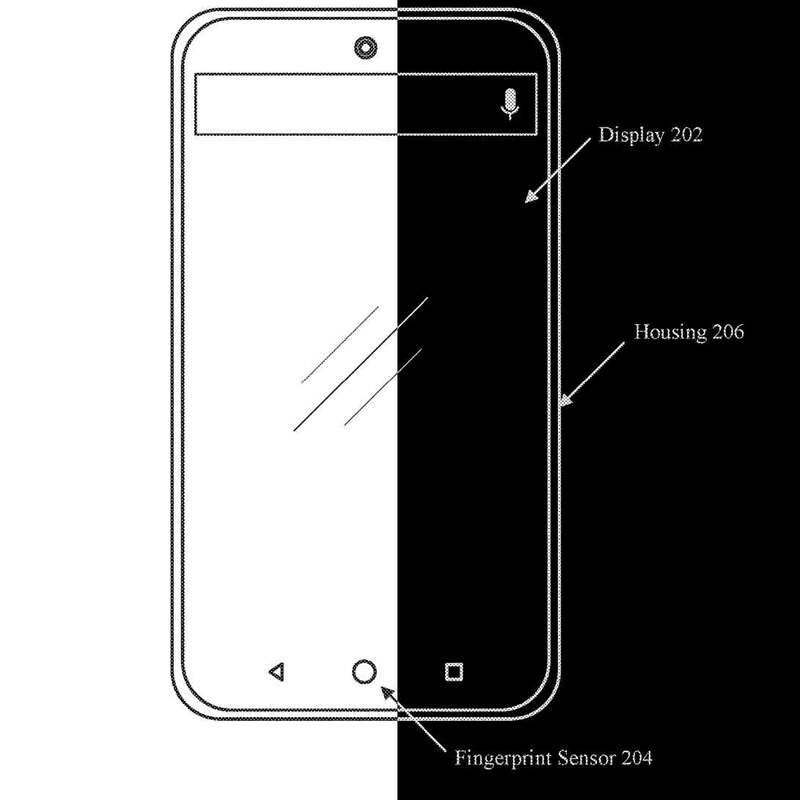 The Essential Phone 2 drawings show a small circular cutout on the display at the top-center for the front-facing camera. This shows that the smartphone could be sporting an edge-to-edge display like the predecessor model. Also, the handset is equipped with an in-display fingerprint scanner which suggests that the phone could be featuring an OLED display. There is no information available on the specifications of the phone. It is too early to confirm whether the above design may belong to the Essential Phone 2. Hence, it is advisable to wait for further reports to confirm on the existence of the successor of Essential Phone.